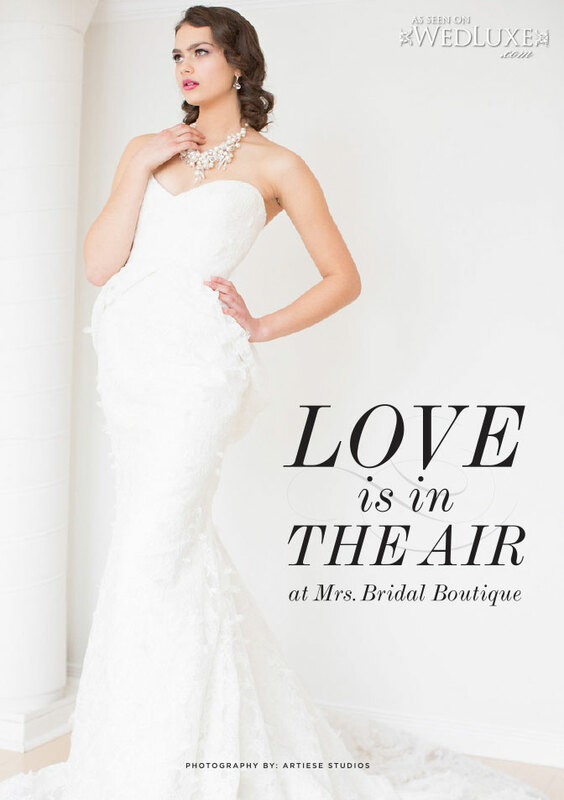 I am thrilled to finally share a bridal editorial I worked on a few months back. For the makeup, I was inspired by the bright bold colours of spring flowers and the romantic, elegant feel of the dresses. Therese of ARTIESE Studios captured everything beautifully. The team was incredible and I’m so happy to have been apart of it. To view the entire feature visit WedLuxe.com. Enjoy! Want to see my summer lip picks in the juiciest shades? Check out pg. 6! The fam-jam and I just returned from a 5 day road trip. It was a whirlwind of a trip seeing 5 major cities in 5 days (this is not counting smaller cities we made pit stops in). Our 3rd stop was in the city of bright lights NYC. The last time the hubby and I had visited we were minus 2 kids, so the experience this time around was more kid friendly. Although, I did make a point to fit in some beauty fun for moi! 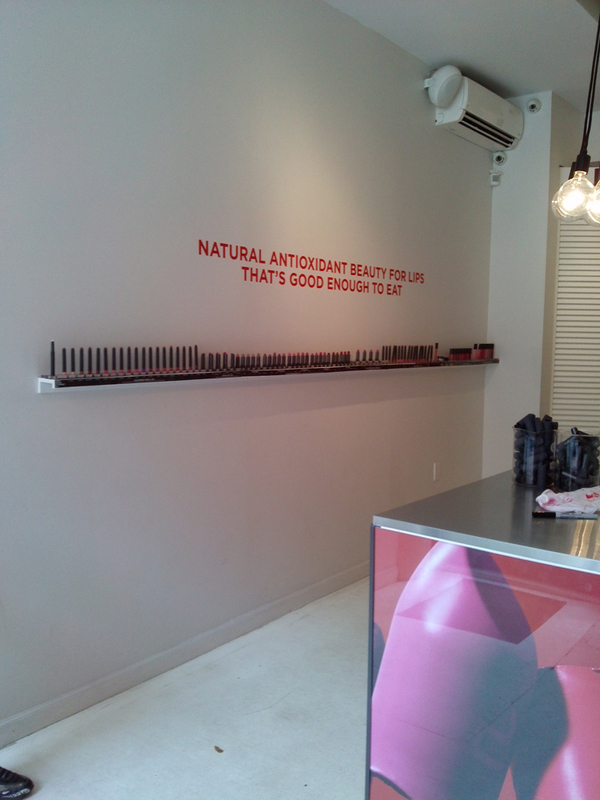 The blogosphere has been all abuzz about Bite Beauty’s Bite Lip Lab in NYC. 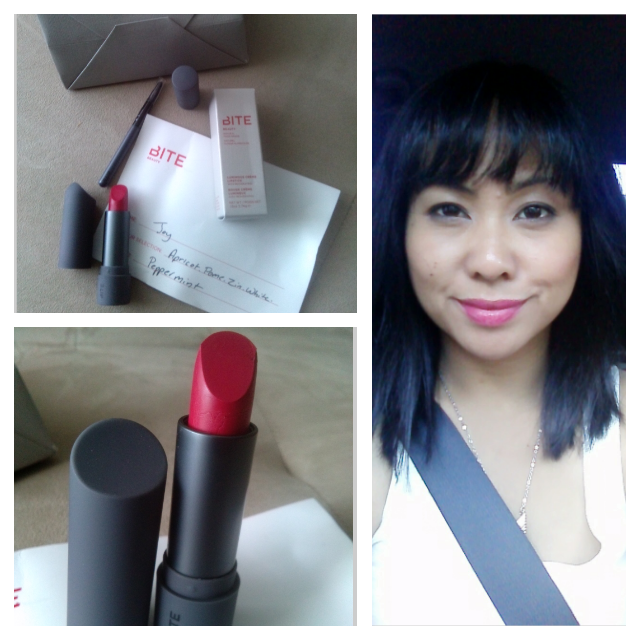 I’m a huge fan of their lip products and have written rave reviews on my old blog Makeup Junkie. When I heard they opened up a store where you can make your own custom lipstick, I just had to make a visit! It happen to work out that it was our first stop in New York. 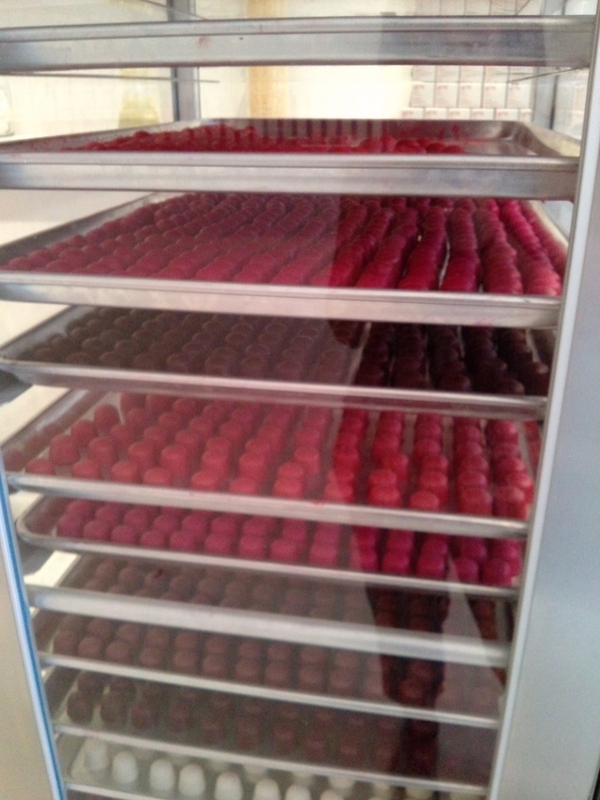 The whole process took minutes to make especially since I had a colour in mind already. I debated before going if I wanted an everyday shade or something fun and bold for summer (first world problems). I figured, go big or go home so I had the fabulous Brooklyn (tell him I sent you to visit him), mix up a fun pinky-red shade. I wanted a stain-like finish so he suggested the formula be a shiny finish with lots of pigment – very summer appropriate. 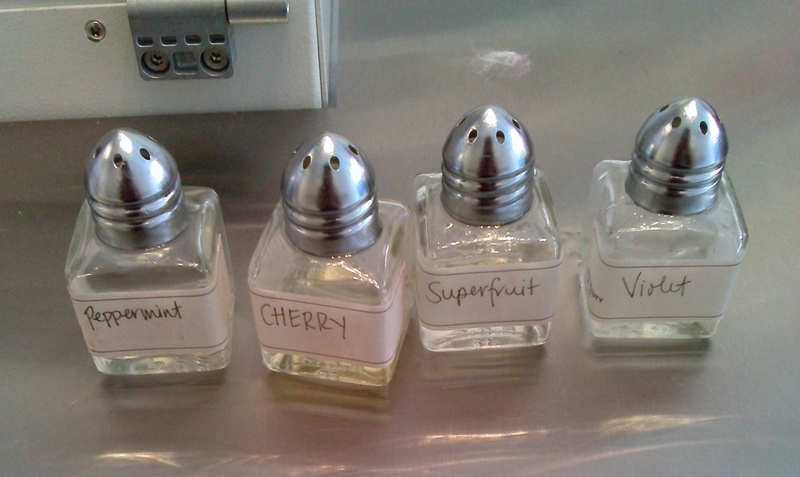 The next step was to choose the scent: peppermint, starfruit, cherry, or violet. I like the cooling effect and fresh scent of peppermint on the lips so I went with that. After the scent was selected, little chunks of lipsticks that looked like chocolate truffles were melted and mixed together for my custom shade. Looks good enough to eat right? 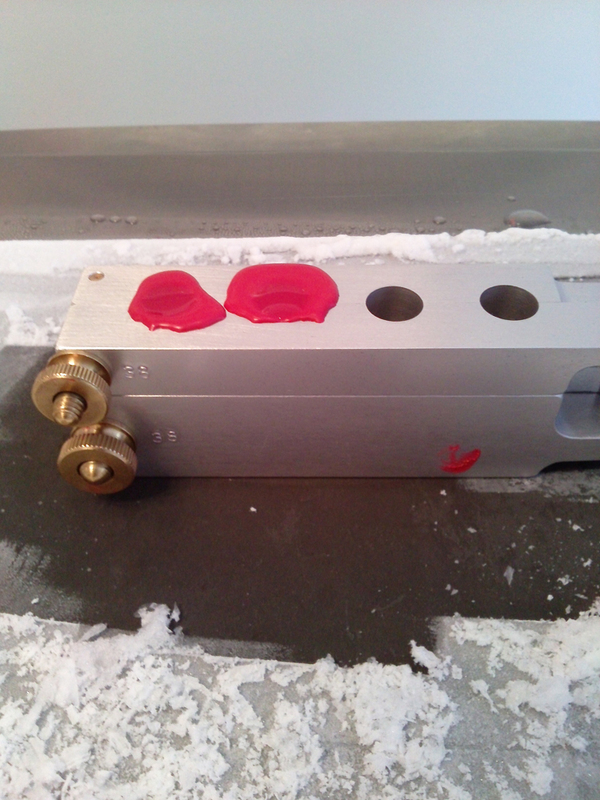 The mixture was then poured into a mold and placed on a cold plate to harden. I tried my best to contain my excitement as my lipstick was being poured. 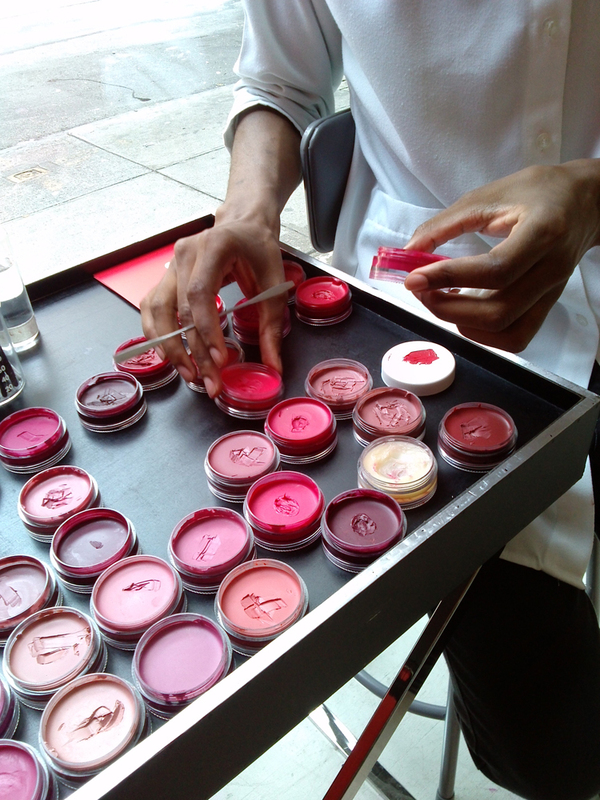 It’s such a simple process, but I was very fascinated by it all and wondered why Toronto didn’t have its own Beauty Lab. Brooklyn let me know that NY was a test run and if it does really well it will come back to Toronto – yipee! While I waited for the lipsticks to harden, I checked out the rest of the Bite Beauty products while my oldest son showed off his karate moves. I was very tempted to pick up some lipsticks I had been wanting for my kit, but I resisted! 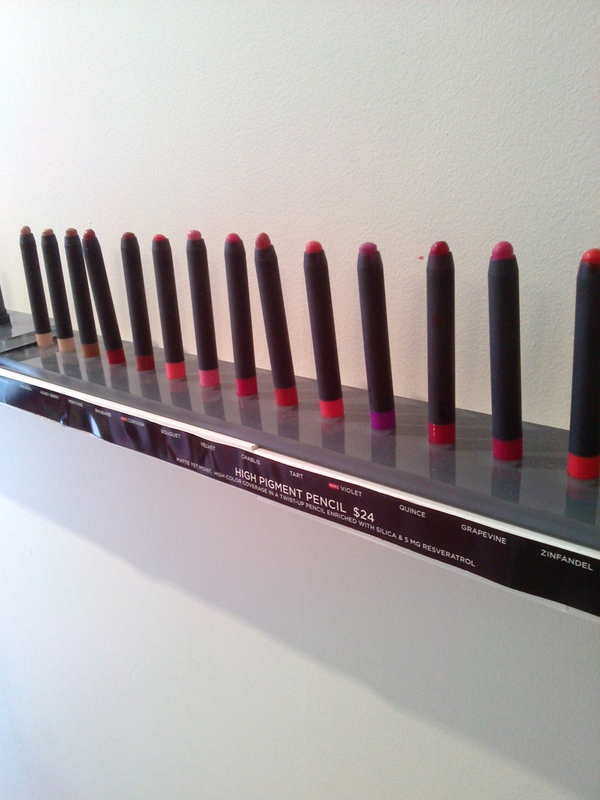 The lipsticks were finally ready to be placed into the sleek lipstick tubes. I was over the moon to receive 2 tubes of my lip colour plus he included a little sample of the Luminous Creme lipsticks in Champagne and a lip brush. He also provided a card with the colours I chose in case I wanted more made up in the future. I am so in love with this shade. It’s the perfect mix of bright pink and red. It has a beautiful glossy shine with lots of colour and feels so hydrating on the lips. When I want it to be subtle I dab it on like a stain. After a few hours of wear, it actually leaves a nice stain on the lips. 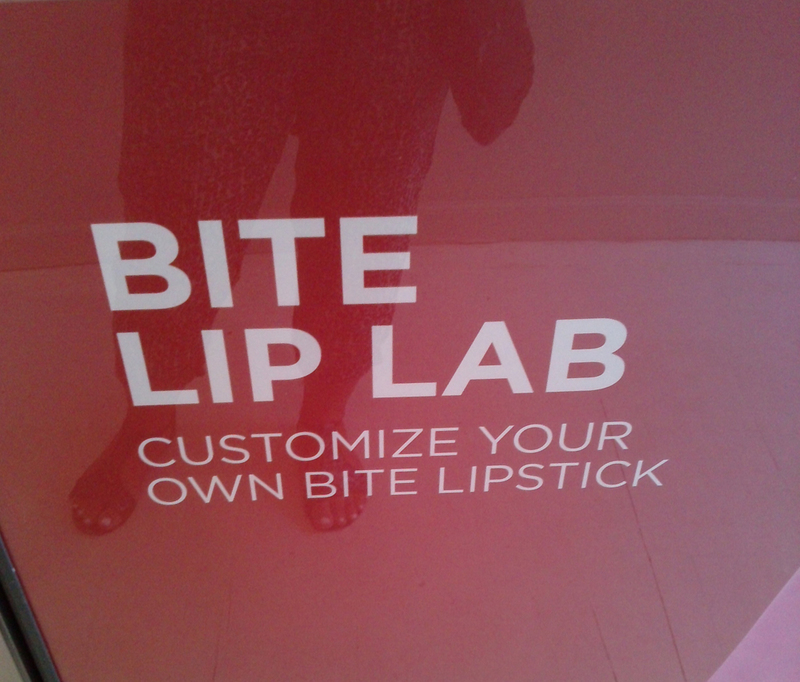 Bite Lip Lab is located on 174 Prince St. in Soho NY. Custom lip shade retails for $28 USD. Hours Tues-Sun 11 am – 7 pm.